Rosy the Reviewer: Rosy's Test Kitchen #5: Cooking Successes and Cooking Conundrums - "Eggs!" 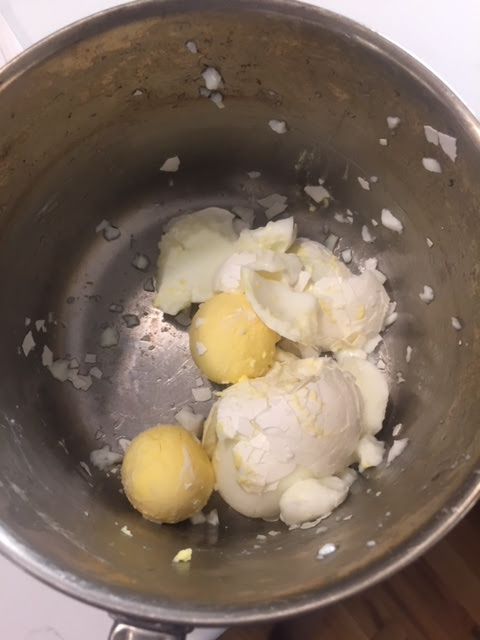 Rosy's Test Kitchen #5: Cooking Successes and Cooking Conundrums - "Eggs!" Everyone has the best method. I think that eggs are probably the perfect food. They are low in calories, full of protein and it turns out that eggs were not the cause of our high cholesterol. It was our overindulgence in everything else! They are also versatile because you can prepare them in many different ways and, yes, everyone has their own way of doing it. As you know, I love to read and collect cookbooks, and I have noticed that many cookbooks tackle the issue of cooking eggs. I am amazed at how different many of the methods are. And everyone is certain his or her method is the right one. 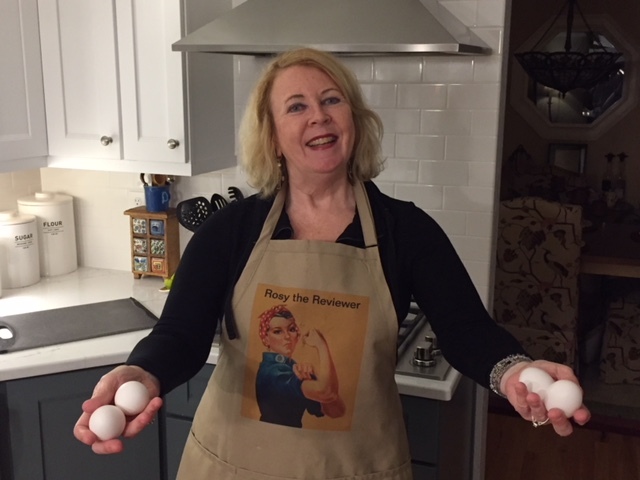 So I thought I would share with you how I have been cooking eggs these many years and then test a couple of alternative methods and report back and then throw in a couple of my favorite egg recipes as well. I want you to know that I took this assignment that I gave myself very seriously. This was a week-long investigation and I have eaten a LOT of eggs! And I look forward to what your research has discovered: your methods and tips when it comes to preparing eggs. I am going to compare my techniques with some techniques recommended by "Cooking Light," Joy the Baker, and from the book "How to Break an Egg" by the editors of "Fine Cooking." Here is my method: I place four eggs in a sauce pan in cold water and when the water starts to boil, I turn the heat off, put the lid on the pan, and let the eggs stand for 25 minutes. Then I drain the pot, rinse the eggs with cold water and add ice to the water. The ice bath makes the eggs easier to peel later. However, that's how I did it when I had an electric stove which means that when I turned off the burner, there was still some residual heat. Now I am cooking with gas (yeah, baby!) and wasn't sure how that method would be affected but just tried it and it still works fine. Use two quarts of water (not sure why it has to be two quarters - I just cover the eggs), add eggs and bring to a boil. As soon as the water boils, turn off the heat, move the pan to a cold burner. Let stand for 12 minutes. Meanwhile, fill a bowl with water and ice and as soon as 12 minutes has elapsed, drain the eggs, and plunge the eggs into the ice bath. Let stand 5 minutes if using immediately, 10 minutes if saving for later. "The Secret to Perfectly Boiled Eggs"
Bring a saucepan of water to a full boil (she doesn't specify an amount). Wait until the last minute to remove the eggs from the refrigerator and gently place them in the boiling water. Reduce the heat to medium and boil 8 minutes for soft-boiled or 11 minutes for hard-boiled. Remove the pan from the heat, drain and fill the pot with water and a handful of ice cubes. Let the eggs rest for 5 minutes. Warm the eggs for 4-5 minutes in warm tap water. This is supposedly to prevent cracking. Add salt - 1 T. per two quarts of water (no cooking time was recommended so I boiled for 11 minutes as per Joy the Baker). When finished drain pain and submerge in ice bath. TIP: For easy peeling, leave the eggs in the pan after cooking and draining. Put the lid on and shake vigorously. 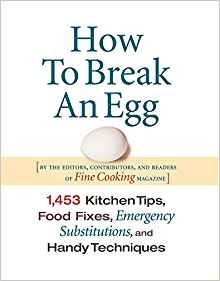 Once the sound of smashing eggshells stops, remove the pan lid and lift the eggs out of the loose strips of broken shells. What I learned: In all cases, at least one egg cracked during the cooking process whether there was salt or not, and all of the methods, except mine, of course, produced yolks that were too soft and whites that were slimy, so even though the "foolproof" method was very similar to mine, letting the eggs stand for just 12 minutes did not produce a firm, hard-boiled egg. Oh, and shaking the eggs in the pan as an easy way to peel them? Verdict: My method works best for me. Produces firm whites and firm yolks every time. And shaking the eggs in the pan? Not recommended. The ice water method works best for easy peeling. My method: Crack the eggs into a bowl, add a little water and salt and pepper, whisk the eggs and dump them into a pan of melted butter. Whisk them around a bit until they are of a consistency I like (soft) and then remove from pan. Melt butter in 8-inch skillet over medium high heat until butter is bubbly. Break eggs into a bowl and beat them with a fork until slightly frothy. Stir in salt and pepper. Add egg mixture to the pan and start pulling the eggs from the sides of the pan into the middle. Big, fluffy curds will start to form. Keep pulling the eggs for about 3 minutes. As soon as the runny eggs are fully set remove from heat. Same ingredients, skillet and egg beating as above except this time you will be using medium-LOW heat and when the butter melts and you add the eggs, you will quickly start stirring with a rubber spatula and keep stirring. After a few minutes, steam will rise and the eggs will thicken and small curds will form. If you start to get large curds lift the pan from the burner to cool it down, stirring all the while. Cook stirring constantly until the eggs hold together like a soft-custard that can spread slightly like risotto. "The Secret to Fluffy Scrambled Eggs"
Whisk 3 large eggs, 2 T. milk and 1/2 t. soy sauce (soy sauce?) in a small bowl. She also uses clarified butter (1 T.) in a skillet set over medium-low heat. Add eggs and let them sit in the hot pan for 10 seconds and then using a rubber spatula, push and flip the eggs around the pan stirring constantly for four-five minutes until the eggs are just cooked through. Squeeze with fresh lime juice (lime juice?) just before the eggs are done. Joy also likes to make "Folded Eggs" to use in a breakfast sandwich. She uses a ratio of 6 eggs, 6 t. whole milk, 6 splashes of soy sauce (she really likes that old soy sauce in her eggs), 1/4 t. black pepper, 6 t. black pepper and 3/4 c. grated sharp cheddar cheese BUT she only cooks one egg at a time so this recipe makes 6 sandwiches so cut this recipe down as you see fit. Basically you pour the egg mixture into a 6-inch skillet tilting the pan to create a very thin, almost crepe like layer. 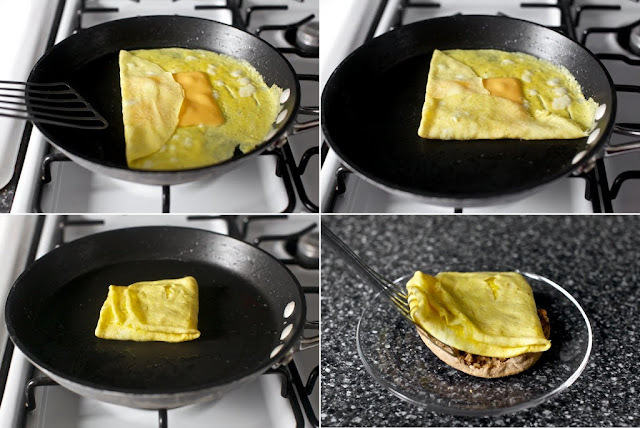 Add the cheese and using a very thin spatula fold the sides of the egg over the cheese creating a small square. What I learned: Adding soy sauce to the eggs gives them a little smoky flavor but I didn't find that it substituted for salt and there wasn't enough of it to really make much of a difference. The eggs still needed salt. The "fluffy scramble" only took 2-2 and a half minutes to cook. If you go 4-5 minutes, I think they will be too dry and I never really got the fluffy part. Also didn't think I would like the soft scramble but it was really good. You can actually spread the eggs on the toast. Oh, and I learned that I wasn't very good at folding eggs. Verdict: Soy sauce is an unnecessary distraction, didn't like the lime juice and except for the folded eggs, no matter the method, they all kind of came out the same depending on whether or not you like your scrambled eggs soft or dry. And milk or no milk? Couldn't really tell the difference. So you might as well just whisk your eggs, dump them in the pan and scramble them until they are the consistency you like. 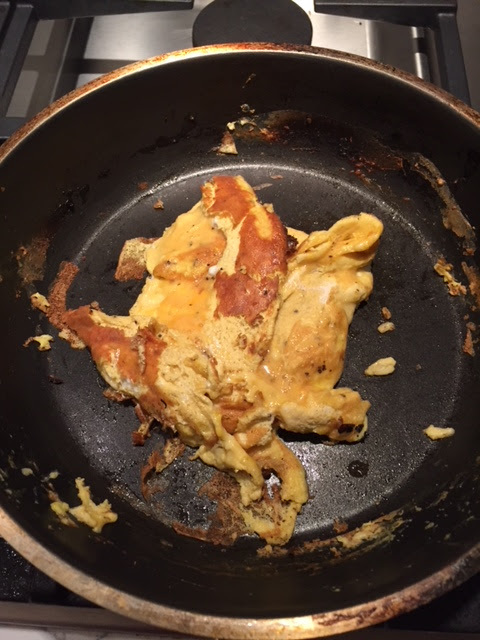 You can't really mess up scrambled eggs - unless you try to fold them! 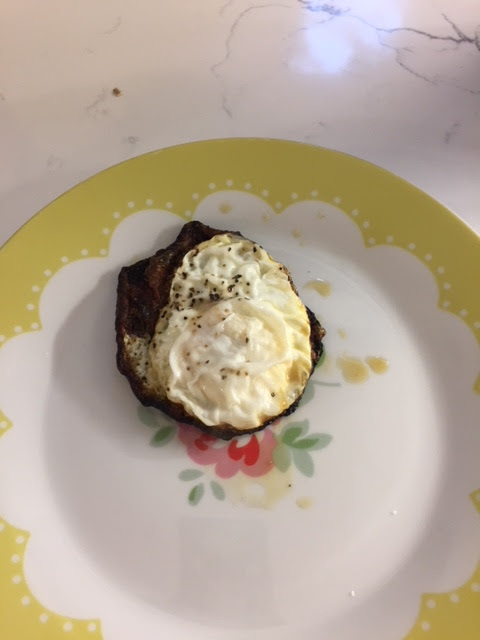 My method: Whether sunny side up or over easy, I just crack the eggs on the edge of the pan and dump into the pan and let them sizzle until they look good (flipping the egg over at the last minute for over easy), season and then slide onto a plate. You might want to use a splatter screen for these. The pan needs to be really hot. Break the eggs into the pan, sprinkle with salt and pepper and let them sizzle and pop. Don't move the eggs at all for about 4 minutes or until the edges are crispy and beautifully browned and the whites are set. Same ingredients as above except this time you don't want the pan to be as hot. You want the heat to be medium-low. Crack the eggs into the pan and you do NOT want to hear crackling and hissing. Cook 3 minutes. After 3 minutes tilt the pan and let the oil pool on the edge and baste the egg whites (not the yolks) with the oil. Sprinkle with the salt and pepper. "The Secret to Great Fried Eggs"
Basically her recipe is the same as the "Pristine" eggs above but she uses clarified butter. I suppose there could be a debate on the merits of butter over oil - I prefer butter though I don't go to the trouble of clarifying it like she does. However, she cracks her eggs into a fine-mesh strainer which supposedly keeps the watery part of the egg white out thus creating a nicer looking and more compact fried egg. Nope. Too much trouble. Tip: For a delicate fried egg, once you have the eggs in the pan and seasoned, add 1 t. water to the pan and immediately cover with a lid. As the eggs, cook, they will steam. Cook until the egg whites are set and the yolks are to the desired doneness, about 3 minutes for over easy. Tip: For a crisper egg, once you flip the eggs, use the spatula to press down on the edges of the egg as it cooks, which will create a crisp egg-white edge. Cook to the desired doneness about 3 minutes for over easy. If you want an over easy egg, just flip the egg after the three minutes. What I learned: I need to get used to my new gas stove. I seem to burn everything! That's not a piece of toast that egg is sitting on. That's the white after sizzling and frizzling! 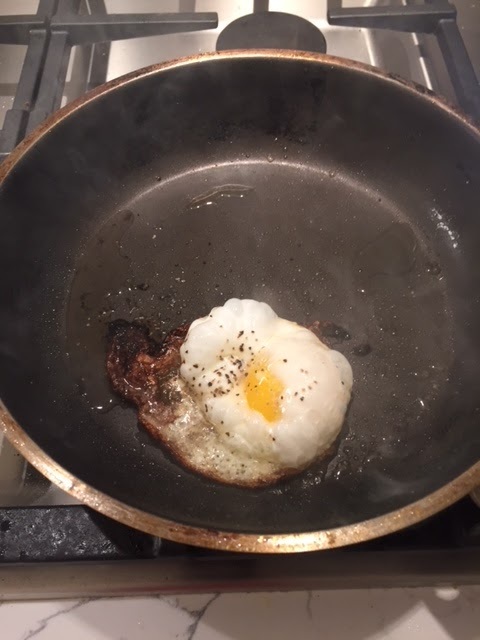 Verdict: Forget the sizzling, frizzling egg at four minutes, the clarified butter or putting your eggs through a strainer- three minutes on low heat seems to fry a perfect egg sunny side up. My method: Boil the water in a shallow pan, crack the eggs into the water and boil on a medium heat for three to four minutes and then using a slotted spatula, remove the eggs and place on a piece of toast or some fancy schmancy dish I have made. For the "swirl," bring a pot of water with a T. of vinegar in it to a gentle simmer. Using a whisk, create a little whirlpool in the simmering water and slip in the egg. Using a slotted spoon, swirl the water around the edge of the pan, gently shaping the egg white. Cook about 3 minutes. For the shallow pan method, pour about 2 inches of water into a shallow pan (add vinegar) and bring to a gentle boil. Add the egg and cook for 3 to 3 and a half minutes and remove with a slotted spoon or spatula. What I Learned: Despite the fact that I thought the swirl method would be too time-consuming it actually worked. The egg came out looking much better than when I just let the egg white take its course. Verdict: When I feel like having a pretty poached egg, I will adopt the "swirl" method but otherwise, shallow pan, boil the water, crack the eggs and three to four minutes later, I have poached eggs. When compared to the experts, when all is said and done, even though my egg making is very basic and I eschew most of the steps and tips that many cooks adopt such as cracking the eggs into a separate dish and sliding them gently into the pan or adding vinegar to the water, I think I do OK in the egg-making department. Like life, I tend to just crack the egg on the pan and let things fall where they may and that has worked out fine so far. Arrange the tots on a rimmed baking sheet and bake for 20 minutes. Meanwhile, heat the oil in a large ovenproof skillet over medium heat. Add the onion, season with 1/2 t. salt and pepper, cover and cook, stirring occasionally, for 5 minutes. Add the red pepper and mushrooms and cook, stirring occasionally, until the vegetables are just tender, 5-6 minutes. Toss with the garlic and tomatoes and cook for 1 minute. Fold in the spinach and tots. Make 8 small wells in the vegetable mixture and carefully crack an egg into each. 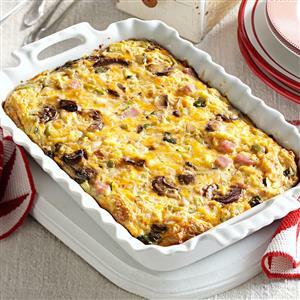 Spring with the cheese and bake the eggs to desired tenderness, 15 to 18 minutes for slightly runny yolks. What I Learned: The yolks were not runny at 15 to 18 minutes so if you like them that way watch your oven. In a Dutch oven, heat oil over medium heat. Add the veggies and ham; cook and stir until the veggies are tender. Add the garlic. Cook 1 minute longer. Drain and pat dry. In a large bowl, beat cream cheese and half and half until smooth. Gradually beat in eggs. Stir in the remaining ingredients and vegetable mixture. Transfer to two greased 11 x 7 in. baking dishes. Bake uncovered at 350 degrees for 35-40 minutes or until knife inserted near the center comes out clean. Let stand 10 minutes before serving. What I Learned: This recipe can easily be halved and it also makes a great vegetarian dish - just leave out the ham. 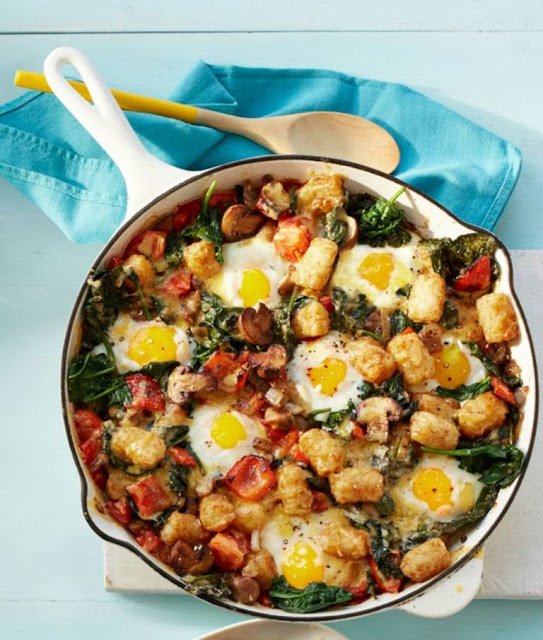 Verdict: When entertaining guests, make this dish the night before and have it ready to just pop in the oven in the morning for an easy and fast but elegant breakfast dish. Your guests will say, "DIVINE!!!" Hope you enjoyed this latest installment of "Rosy's Test Kitchen." I would love to hear your tips for the best way to prepare eggs and for you to share some of your favorite recipes. Oh, and if you like my new apron, you can thank my daughter and her Hubby. It was a well thought-out and lovely Christmas present. And speaking of presents, anyone who gets the Housewives homage from the picture should get a special present (that doesn't mean you will, but you should)! 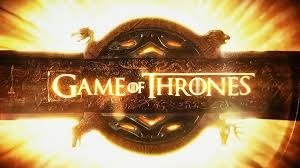 Until next time, you fill find me here this coming Friday for my usual reviews.